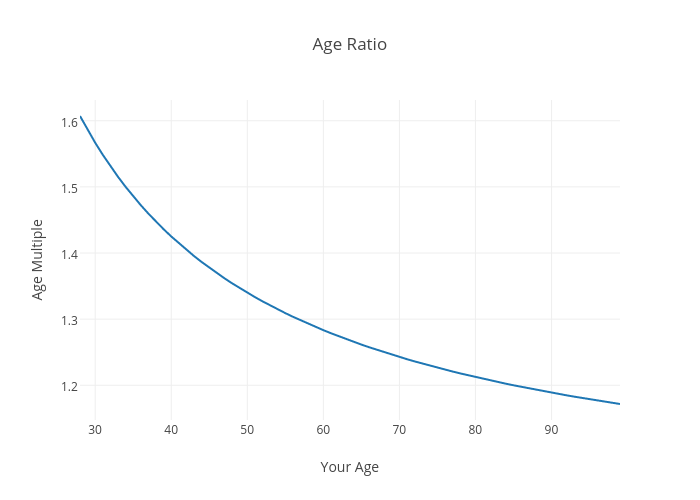 Justdantastic's interactive graph and data of "Age Ratio" is a scatter chart; with Your Age in the x-axis and Age Multiple in the y-axis.. The x-axis shows values from 28 to 99. The y-axis shows values from 1.1475268558601892 to 1.6313331729998397.